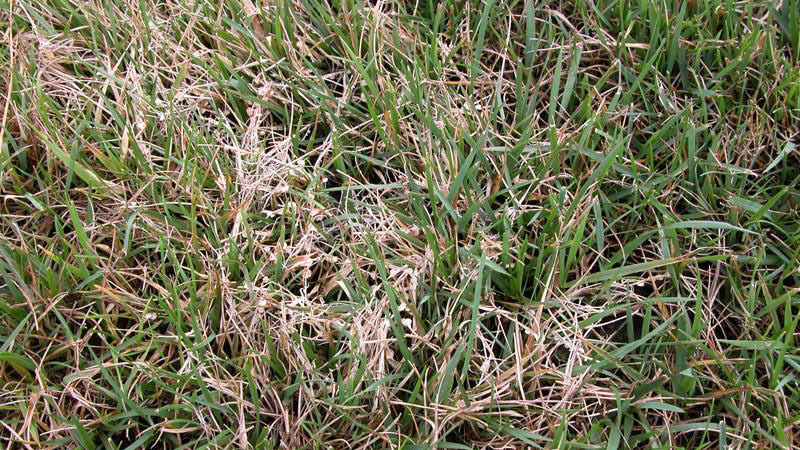 White patch, also known as white blight, is primarily a disease of tall fescue in transition zone areas. 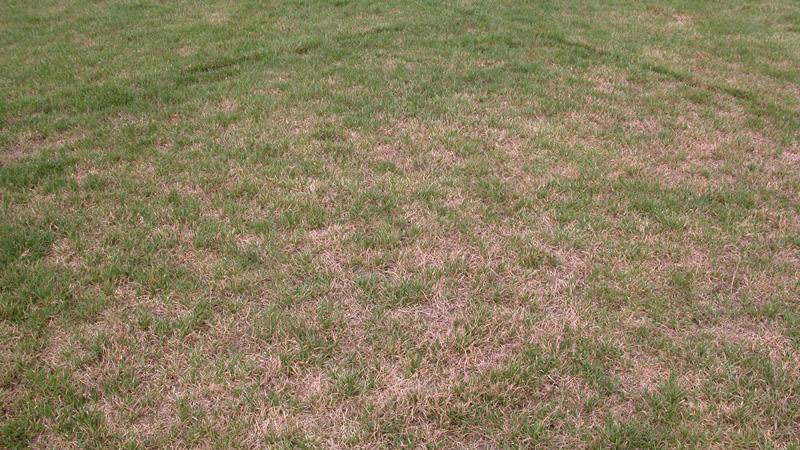 The disease develops during periods of hot, humid weather and is most damaging to new plantings in the first year or two after establishment. Symptoms appear in white circles or patches up to 1 foot in diameter, and small white or tan mushrooms (about 1⁄4 inch in diameter) are produced directly on the blighted leaves. 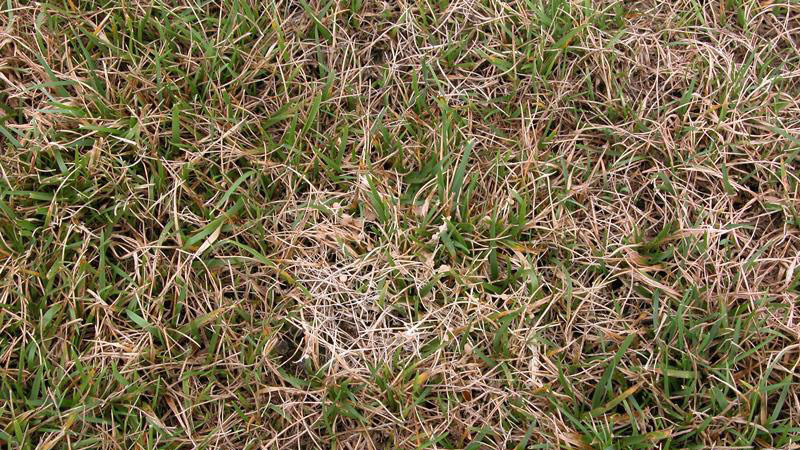 White patch is most damaging in tall fescue that is under-irrigated or deficient in nitrogen or other essential nutrients. The white patch pathogen is most active during the summer when humidity is high and night temperatures are above 70°F. 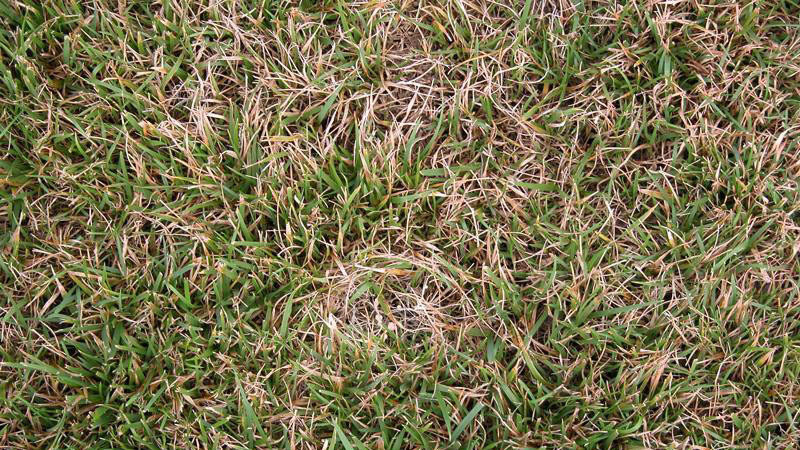 Stands of tall fescue that are under-fertilized, under-irrigated, heavily trafficked, or under other forms of stress are most prone to this disease. Apply 3 to 4 lbs. N per 1000 square feet to tall fescue landscapes annually to maintain optimal growth and density. Approximately 2⁄3 of this nitrogen should be applied in the fall, with the remainder applied in the spring prior to May 1. Perform an annual soil test to ensure that soil pH and nutrient levels are optimal. Mow tall fescue regularly to a height of 3 to 3.5 inches. Use deep and infrequent irrigation to prevent drought stress and minimize leaf wetness periods. 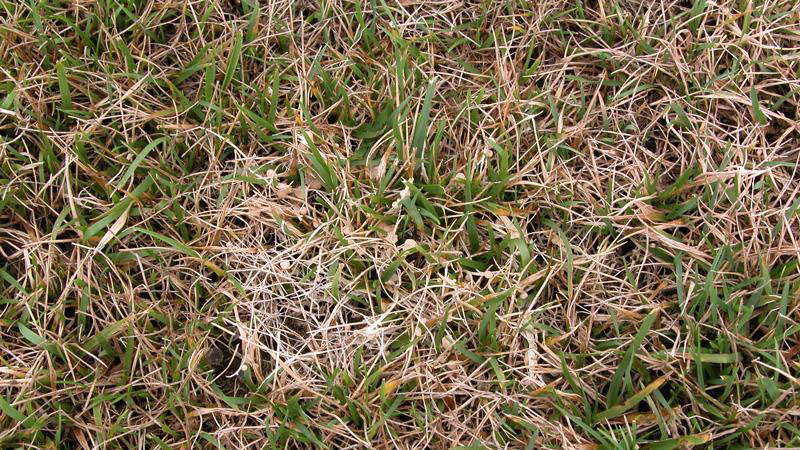 This is done by irrigating for a sufficient period of time to wet the entire root zone, then re-applying only when the root zone has become dry and the turf begins to show signs of mild drought stress. 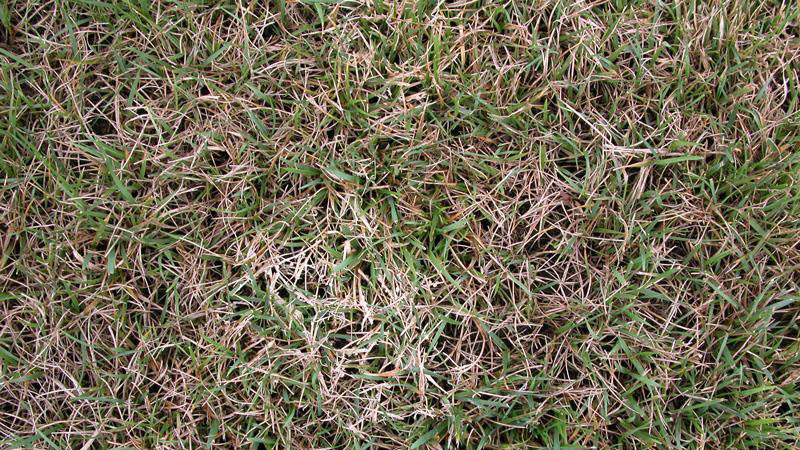 Infestations of white patch are rarely severe enough to warrant fungicide applications. No fungicides are labeled for control of white patch, but azoxystrobin (Heritage) and flutolanil (ProStar) have shown some activity against the disease. Figure 1. White patch stand symptoms. Figure 2. White patch stand symptoms. Figure 3. White patch stand symptoms. Figure 4. White patch stand symptoms. Figure 5. White patch stand symptoms. Figure 6. White patch stand symptoms. Figure 7. White patch stand symptoms.